Getting a minicab is easy but getting a safe and reliable cab is tough everywhere. It becomes a matter of concern when you are new to the town and don’t know the routes. You are going to be preoccupied with the thought of safety throughout the journey. A journey that was meant to be comfortable will just leave you stressed and tired. 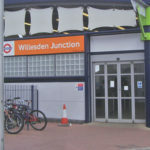 However with NW Cars Minicab Hendon service this has never been a problem, we pride ourselves in our customer service and our highly experienced drivers. The drivers we employ are only the best and all have experience in transporting customers to and from their destinations without a problem. This results in a reliable service that has never been doubted by any of our customers. 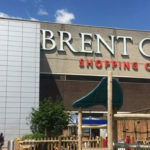 The NW Cars Minicab Hendon service is rated next to none, as we have been known to utilize our links in providing any form of service you need whether it may be an executive transfer, local journey or Airport Transfer, we offer dedicated services in the Hendon Central and West Hendon areas. NW Cars Hendon Minicabs makes getting to and from your destination a pleasurable experience, we provide modern vehicles fitted with the latest technology. Our drivers are all fully licensed by the Public Carriage Office so you can be assured that both your driver and vehicle are fully insured and licensed. Our vehicle will collect you from your requested pickup location and take you to your destination in comfort and style at the best possible prices. So sit back and relax, our driver will take you to your destination of choice utilizing his knowledge and experience, using the best possible routes to get you there as safely and fast as possible. 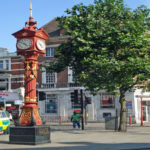 Why choose NW Cars Hendon Minicab Service? We pride ourselves on the services we offer our aim is to satisfy our customers with our reliability, safety record and competitive pricing. NW Cars Hendon value the safety of our passengers. We use state-of-the-art GPS technology and real-time communication that allows us to track our drivers and cars at any point in time. Once you step foot in our vehicle, we monitor your journey’s progress and ensure that you reach your destination safely. We operate a 24 hours a day, 365 days a year and have a wonderful fleet of modern vehicles that includes Saloons, Estates, MPV’s, 8 Seaters and a range of executive vehicles to match all your travel requirements. If you’re riding with pets, babies or extra luggage don’t worry – our drivers can accustom to your needs. Simply tell our customer service representative and we will do our best to arrange a suitable vehicle for you. We accommodate any persons with a guide dog without hesitation or pre-booking. Hendon Hall Hotel is a popular choice for lunch or dinner at Garrick’s or afternoon tea. If you’re a student at Middlesex University and just too tired to walk, NW Cars Minicabs in Hendon will pick you up and get you to your destination while you relax and unwind in our clean and comfortable cars. For university students wanting a regular morning journey, we offer the best value minicab service to Hendon’s Middlesex University campus at student friendly prices. Our minimum fare in Hendon is just £4.00. Allianz Park and Barnet Copthall Leisure Center is a short ride away if you’re a sport lover. The lately night club is a popular bar in the Hendon area and our minicab service aims to offer services to the youth and access the party scene and our drivers are available to drive you to any club within the area or in the outer areas at competitive prices. The Arista bar is a popular destination for our customer and this club has some of the best ratings in the area. Book your NW Cars Hendon Minicab today! Booking a Minicab in Hendon is very simple, you can book via email, our mobile apps, online web booking portal or by telephone on +44 (0)208 452 3344, our highly qualified customer service team will be happy to answer any questions you may have and here to help you with all your travel needs. Don’t forget to tell us if you are planning to travel with young children, babies, pets or additional luggage, knowing this will help us to advise you on the best type of minicab vehicle for your journey. For young children we do have a limited number of child seats available (subject to availability).